I think it's time for a long overdue book review! 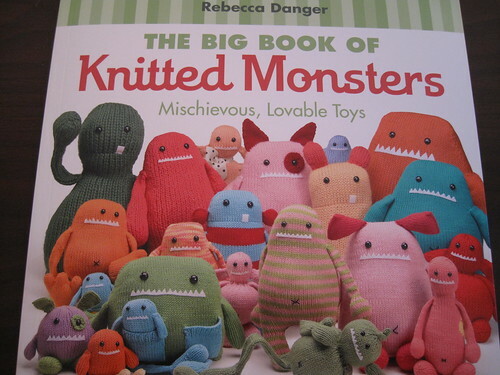 This time, it's The Big Book of Knitted Monsters by Rebecca Danger. I didn't know much about Rebecca Danger. I had a couple patterns of hers in my Ravelry queue, but had no idea that she has tons of these cute little monster patterns out there. 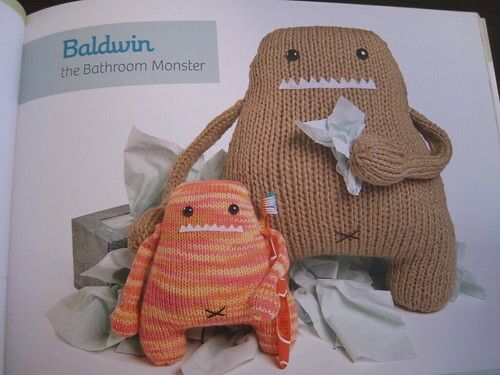 The book starts out with some "General Monster Knitting Guidelines" & "General Monster Finishing Guildelines." 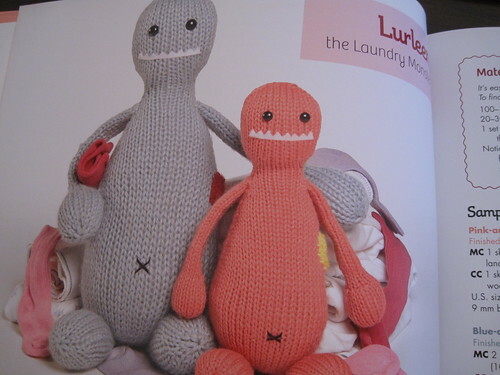 I really enjoyed these sections because they went over some things that have always steered me away from knitting toys. 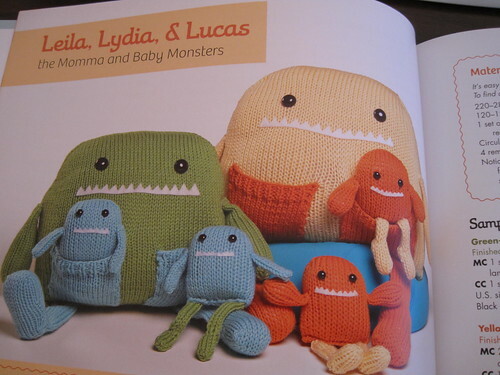 These sections included some tips on sewing the monsters together, and how to properly stuff your toy. After that, the book goes right into the patterns. What I really like about the patterns section of the book are all the clear pictures. I LOVE that there are pictures of the actual knitting in progress to refer to. They are extremely clear and well photographed. She is sure to include these pictures for some of the more tricky parts of the pattern (i.e. how to get the working yarn in the right spot & picking up stitches for a pocket). All of the patterns are really cute though. I can totally see myself making a few of these for the kids in my life! One thing that I think is important to mention is that the patterns call for the use of Magic Loop. So, if that is something you don't know how to do, you would probably want to figure that out first! There is a description and pictures of how to do it, so if you are adventurous, you probably could figure it out from that section in the book. I would recommend this book. If you are a toy knitter, I think you would really enjoy it. And, if you are not a toy knitter, I think this is a good book to get you into it. With the clear pictures and clear directions, I think that it might be a good place to start.